Hello, and welcome to Bark Busters Home Dog Training Manchester Central. I’m Alex Fraser, your local behaviour therapist & Trainer and I would be delighted to hear from you should you need any help with any aspect of your dog’s behaviour. 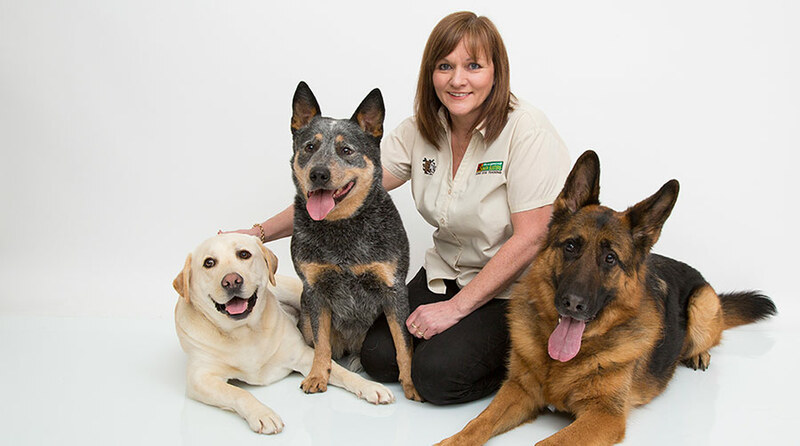 I’ve been working as a Bark Busters behaviour therapist for several years now, and have trained hundreds of dogs. I relish every day that brings me the opportunity to work with dogs of every size, age, breed and whatever the behaviour problem. As a trainer, I am able to combine my love of canines with the skills gained from 15 years of corporate life. Having worked as a leader and mentor in my previous career, I understand that people are happier once they understand what is expected of them and how to achieve it. Dogs are no different. What is common to all dogs is the need for clear and consistent direction and communication. This is why my training programme is designed around pet and owner. It's tailored to your specific needs, ensuring that both dog and owner understand the rules and boundaries I put into place. When you ask me to work with you, I will visit you in your home and allow you plenty of time to outline the problems you are having. I will then explain to you how the tailored programme works, and how we are going to put it into place to address your particular needs. There will be lots of opportunity to ask questions, and I will ensure that you have an understanding of everything and had lots of chance to practise before I leave. I will leave you with a training programme to follow, and a promise to return to support you in your progress for the term of the programme. 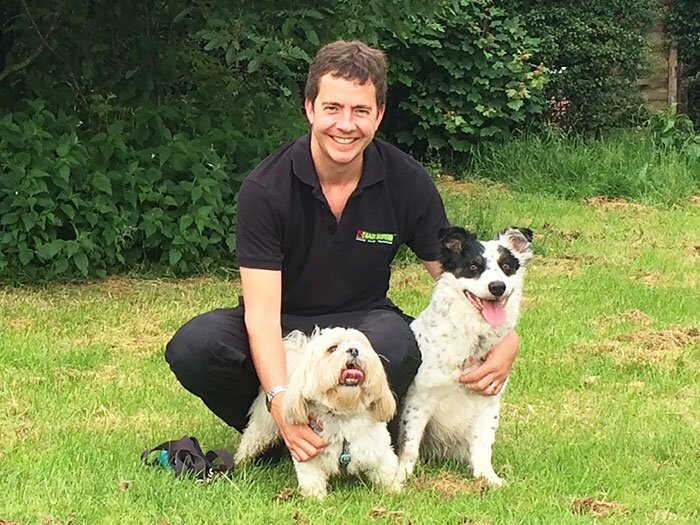 I have worked in many different situations; from clients who live alone with a small dog, to those who own land and numerous dogs. I recently worked with a family who owned stables, and wanted to teach their 5 dogs not to rush at customers entering the yard, and to recall when called. By working together to put boundaries in place, the owners were able to gain the control they wanted. I have also worked with a 13 stone bull-breed who pulled on the lead and lunged at other dogs. He was, understandably, really difficult for the owners to walk! I worked with the owners on their tailored programme which they embraced enthusiastically. With practice and patience his walking improved and is no longer a problem on the lead. I also specialise in working with rescue dogs as they settle into their new homes and adjust to their new environment. They need to build confidence in their adoptive families, and I am always delighted to be able to help with this. I was particularly proud to have worked with a 3 year old who was in her 7th home due to her destructive behaviour. The new owners were committed to the plan we put into place and, with my continued help and support, they now have the family pet they wanted, and their dog has her forever home. Whatever issues you are facing, such as aggression, barking, separation anxiety, jumping up… or a combination of issues, I am confident that the communication system I will teach you will enable you to regain control and put a stop to the unwanted behaviour. I can also help if you are thinking of getting a puppy and want the best start. My puppy programme is fun and friendly, and will help you to become the proud owner of a happy puppy. Feel free to contact me for a no-obligation chat about your needs. You can also read my client reviews to see what other people just like you have to say about me. Visit Alex's Dog Training & Behaviour Manchester website. Alex provided excellent training for Alfie. He is friendly and approachable and shared his skills and knowledge to help us to help Alfie find his place in the family. Thank you. Recommended!